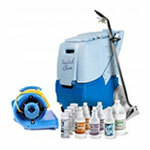 Have you ever needed a mid-sized auto detailer, that you could also use for large area cleaning? Well, look no further! Whether you need to detail a mid-sized vehicle, or extractor all the carpet in a full size RV, this little 5 gallon detailer from Trusted Clean can do the job! At only 57 pounds (without cleaning solution in it) this unit is easy to wheel around whatever vehicle, piece of furniture, stairway, or household carpeting you're working on. And without a heater you don't have to worry about finding a large enough circuit to plug into to supply the heater. If you have access to warm water right from the tap you don't have to have the additional heater anyway. Just fill up your bucket with warm water and your favorite cleaning solution and dispense right into the solution tank of this auto detailer and away you go. However, if you do want the additional heater we just happen to have it in the convenient Trusted Clean heated upholstery detailer. Then you can get your hot water directly from the machine as you do your cleaning. This will severely improve the cleaning power of the machine, as hot water tends to help break down the bonds between dirt and carpet / upholstery fibers. For other un-heated machines, please feel free to take a look through all of our cold water carpet extraction machines. We carry a wide variety of carpet extractors for you to choose from all the way from this 5 gallon model all the way up to our 12 gallon Trusted Clean carpet cleaning extractor. 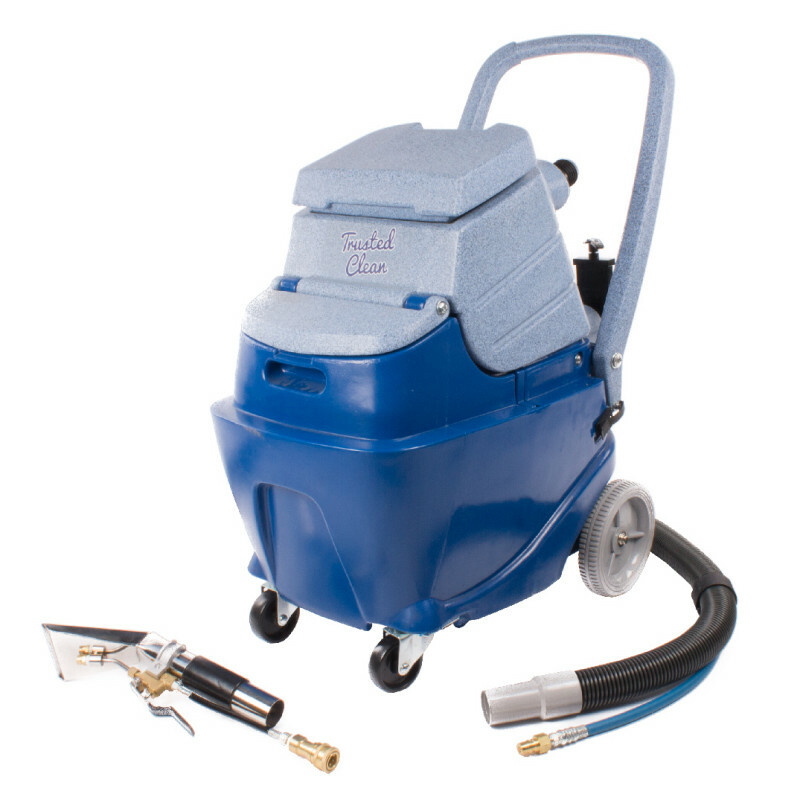 Powerful enough to offer both upholstery detailing & full carpet cleaning extraction capabilities. 3-stage vacuum motor provides plenty of recovery suction power to leave carpets dry. Machine opens like a clam for easy access to all mechanical components for regular maintenance. Comes with a 15' solution & vac hose combo, as well as a handheld stainless steel detailing tool. Backed by a lifetime warranty on the tanks & heating element, and 2 years on parts & labor.